The Santa Ynez Valley Wind Ensemble, led by conductor Sharon Jeskey, is proud to announce the end of their twenty-fifth season. It was a memorable year with many highlights. The 2015-2016 season started off in November with their annual autumn concert at St. Mark’s Episcopal Church in Los Olivos, which featured pieces by Camille Saint-Saens, John Philip Sousa, and Billy Strayhorn. The theme of the performance was the year 1915, with many pieces written in 1915 or about an event that happened that year. The performance was dedicated to the memory of Arlen “Bo” Pedersen, a founding wind ensemble member. Next, the Wind Ensemble participated in the community Christmas tree lighting ceremony, in Solvang Park, a tradition that they have kept for years. Every year, the wind ensemble plays traditional holiday songs and medleys, and are one of the regular guests at the annual event. In April 2016, the VWE performed at the Mission Santa Ines. Music performed in this concert covered a wide spectrum of genres, including classical, folk, pop, and march styles. Repertoire included musical pieces written by Percy Grainger, Barry Manilow, Alex Shapiro, Gary Gilroy, and Warren Barker. Two of the ensemble members also conducted. In June, the group performed their annual concert in the park event in the Solvang Gazebo. The first half of the concert showcased some of the ensemble's soloists playing Nat King Cole's Stardust and favorite Gershwin tunes. The latter half of the concert had a 'spy' theme and included hits like a James Bond medley, Mission Impossible, Dragnet, and Hawaii Five-O. Finally, the wind ensemble closed out the season with another of their yearly traditions: performing for the Fourth of July festivities in downtown Solvang. Those who arrived early for the Fourth of July Parade had the opportunity to hear the Santa Ynez Valley Wind Ensemble play many of the most well-known patriotic songs at the gazebo in Solvang Park. ​The Wind Ensemble is excitedly looking forward to a 26th year of bringing music to the Santa Ynez Valley, and for another 25 years to come. Musicians who might be interested in the joining the ensemble may visit a rehearsal Thursday at 7 p.m. at the Santa Ynez High School Music Room; click here for more information. 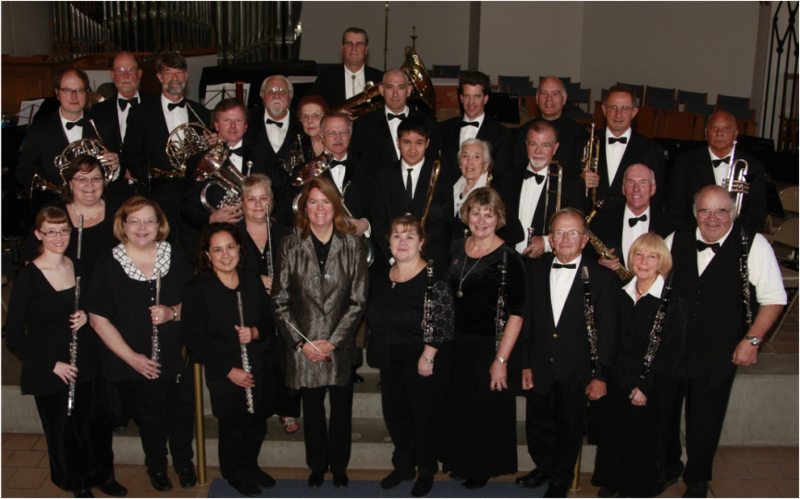 Valley Wind Ensemble is affiliated with Arts Outreach Inc. and is funded through community donations.